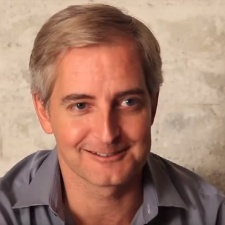 Hong Kong-floated mobile games publisher Animoca Brands has appointed Xbox co-founder Ed Fries as a strategic advisor to its board of directors. He had already been an advisor for The Sandbox developer Pixowl, recently acquired by Animoca. Fries has extensive experience in the games and tech industries. After being appointed VP of Microsoft in 1986 he worked on early Office products, before setting up Microsoft Game Studios and playing a key role in the development of the original Xbox console. He’s held roles at various other games companies over the years, including as an advisor for Android-based micro-console Ouya, which raised $8.5 million from a successful Kickstarter crowdfunding campaign back in 2012. The company's software assets were snapped up by hardware and peripherals firm Razer in 2015. Fries’ appointment comes shortly after former Rovio EVP Wilhelm Taht joined the company’s advisory team. “Attracting someone of Ed’s calibre to our strategic advisory team is another significant achievement for the Company,” said Animoca co-founder and director Yat Siu. Animoca has been busy expanding its business over the last couple of years. As well as successful titles such as Crazy Kings, the publisher has made a number of acquisitions and investments in the mobile, AI and blockchain spaces. Recent deals include Tribeflame, Pixowl and Zeroth. Animoca Brands was recently ranked 47th on PocketGamer.biz's Top 50 Developer 2018 list.